2004 Oyster 66 “RIVKY” – Concours d’Elegance Winner, always maintained with a full time crew and service performed at Hinckley Yachts. Oyster 66/10 is not just any ordinary Oyster 66. 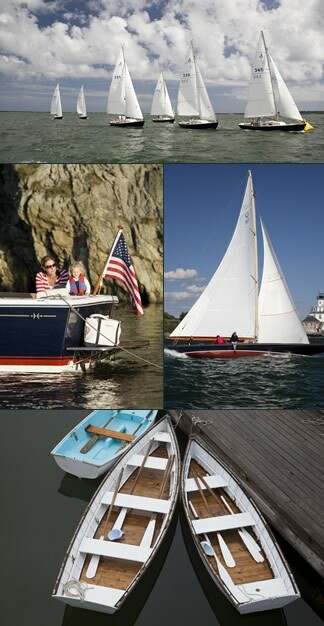 Among many things, she is a best-in-class example of this proven design, 2012 Oyster Concours d’Elegance winner, American owned, never chartered and maintained with no expenses spared by only the very best boatyards and fulltime captains. Furthermore, as if it’s not enough that so much thought went into the construction of Oyster 66/10, her topside are painted in flag blue awlgrip, the toe rail is flawlessly varnished bright, there is a very desirable five cabin layout, HUGE cockpit with luxurious cushions and refrigerator, electrical davits, 50 HP tender, push button sailing at its finest and so much more!! Sparkling in every way this Oyster 66 is a must see example of Oyster’s build quality. See Full Specs for a complete list of all the features and equipment. “Evening Star” is dockside in Rhode Island and available for inspection. Don’t miss the chance to view over 100 quality sail and motor yachts from 40′ to 140′ on display at the Newport Shipyard. Admission to the show is complimentary and offers a water shuttle to the Newport International Boat Show (admission to the NIBS not included).